This new paisley stamp (1076G) is perfect for creating a patterned background. I used Versacolor petal pink and then stamped the main scallop heart (1084D) in Versacolor pine cone. 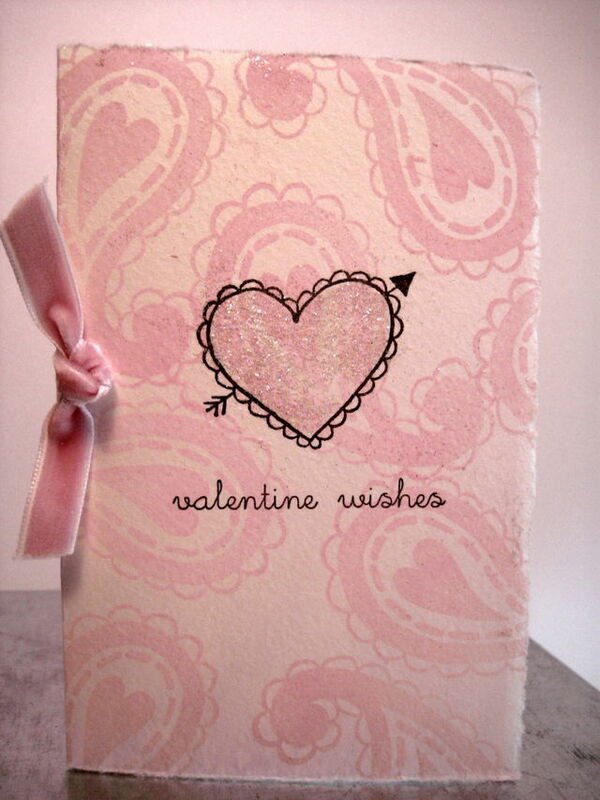 To add glitter to the center of the heart, I used my Sakura glue pen and extra fine glitter. The velvet ribbon adds that finished touch.